I got myself some gifts prior to Christmas from Tenkara USA, i.e. the Iwana 10ft handle (well, I guess it's actually now a 9'4" rod), a t-shirt, the bigger 27cm tamo and some level lines. But my better half got me something much more special, a wooden hand-made tenkara fly box from fellow Tenkara USA forum member Rick Setina with a laser engraving of my name in Japanese. This box is of outstanding quality and a beauty just to look at. Can't wait to tie some more kebaris to fill it. 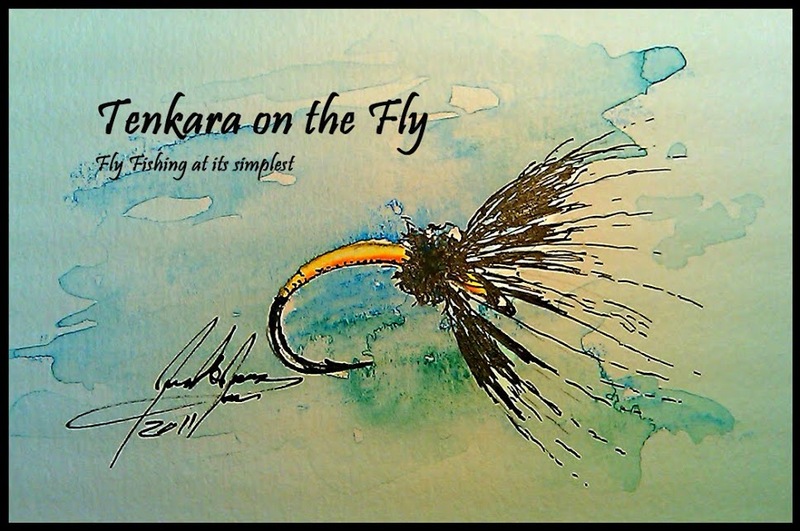 What tenkara swag did you get for Christmas? My wife got me an Ito Rod, some level line, a 13 ft furled line, a Tenkara USA patch for my sling pack and another line spool. Also got a horsehair line kit, a line for my Ito pre-made and a few more goodies from Chris at Tenkarabum. Off for 3 days of fishing tomorrow so I'll get to try my new rod out on the water! Very nice score Karel. That box is a treasure. I didn't get any tenkara gifts for Xmas, but I did get some $$$ which can remedy that shortcoming very quickly. Big C: that is an exceptional swag! Good luck fishing! Mike: Thanks, $$$ is always a good subsidy. Any thoughts what you'll get? If I see any more of those beautiful fly boxes from Rick I think the pressure might just become too much and I will have to get me one of them. Congrats on such a nice X-mas gift! Dax - send me an email through the "contact me" tab on top and I will forward you the email address of Rick who made it. It's only his hobby, so there won't be a site for them. But Tenkara Talk should have a post about his box as well (I think he posted it in the Summer). Awesome box. I have been thinking of getting one for sometime now, and I think the "handcrafted by Rick Setina" engraving just sold me on it! Have a Happy New Year Karel!